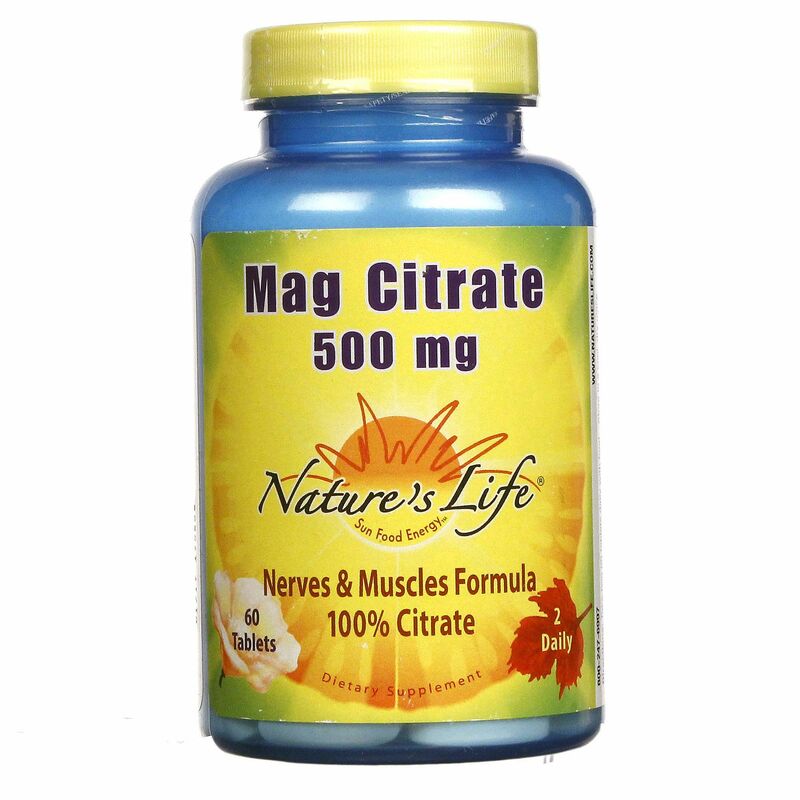 Nature's Life Mag Citrate 500 mg contains a form of magnesium combined with citric acid (citrate). Advertências: Keep out of reach of children. 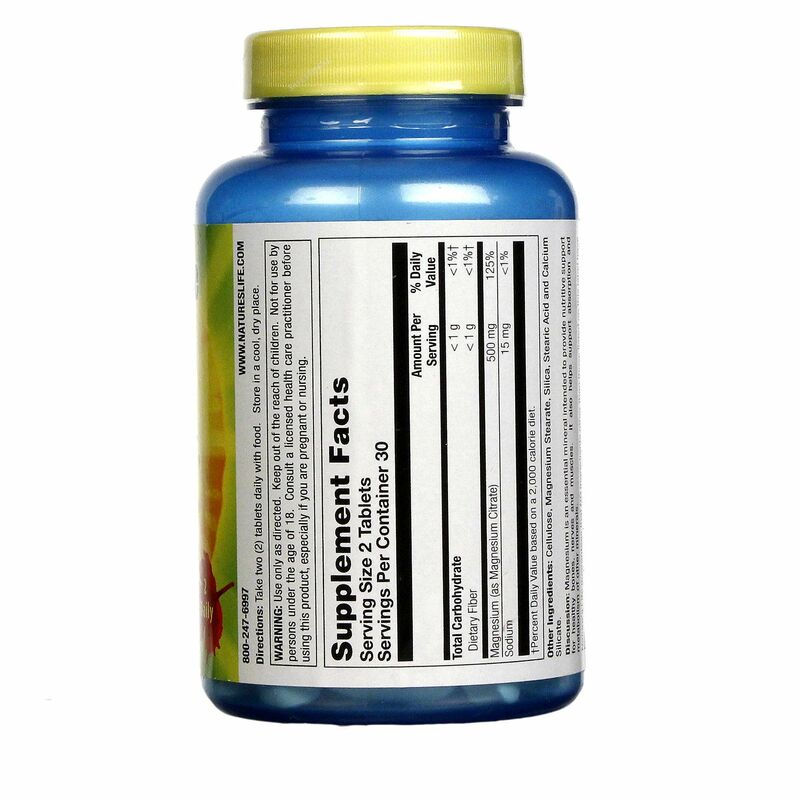 Not for use by persons under the age of 18. Consult a licensed health care practitioner before using this product, especially if you are pregnant. 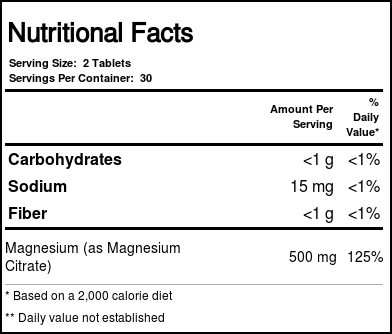 Notas: Contains no ingredient than those listed. 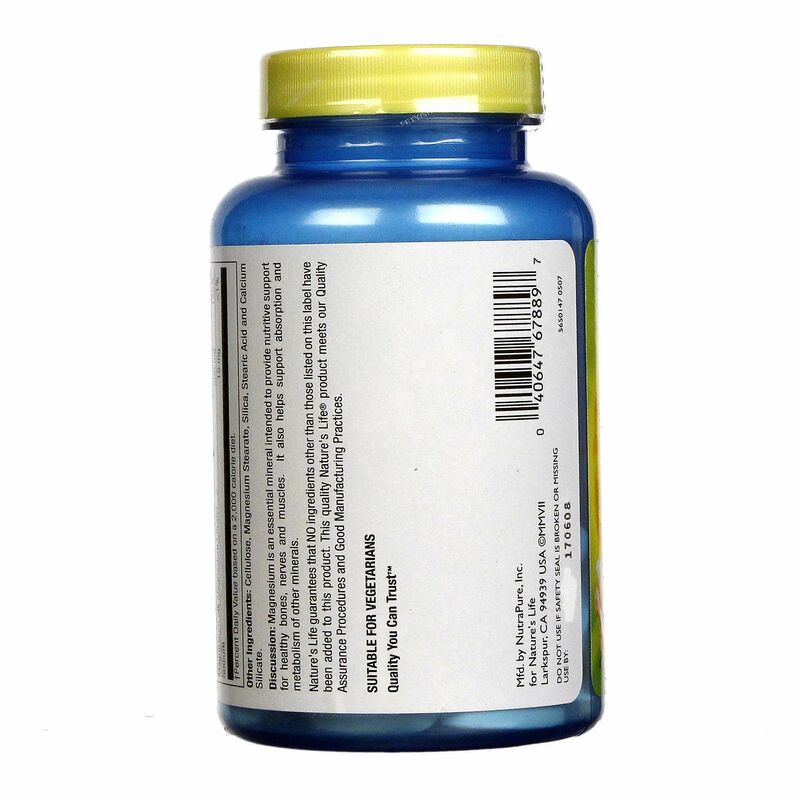 Recomendações de uso: Take 2 tablets daily with food.